Some time back I was enjoying an American Bluegrass band in a local pub. I was chatting to one of the lads in the band during a break. "My shins are aching from all the stomping I've being doing on our Irish tour" He said to me rubbing his shins gently. Many of you will know that I write comic verse, and this was one of those moments that sparked me off. The result I have shared below. It contains names of eminent international podiatrists, and some technical terms, because it was originally published on 'Podiatry Arena' an international site which I use to keep up to date and share ideas. Anyways I don't think that will take from your enjoyment of the poem. The condition that led the poor lad to seek my sympathy was what is commonly referred to as 'shin splints'. Shin splints is not a diagnosis in itself, but a description of a set of symptoms which could result from a number of causes. The most common cause is an inflammation of the sheath surrounding the bone (periosteum). The traction forces produced by the muscle on the periosteum, from frequent 'stomping', would certainly be an example of how shin splints could occur. While it is often associated with vigorous sporting activity I have seen it occur from frequent traversing of steep inclines simply coming and going from home. Lower leg pain brought on by activity and which eases on rest. 'lumps and bumps' may be felt along the course of the inside of the shin. Pain when the foot/ toes are bent down. Initially treatment is aimed at reducing pain and inflammation. It is essential to identify biomechanical problems or activity patterns which may have led to the injury. Rest and a gradual return to activity will restore the shins to their original condition. Stretching, strengthening, assessing training issues, providing shock absorption and addressing biomechanical problems by the use of orthotics are the mainstays of a treatment programme. My Guinness goes down better when there’s good tunes to be had. For all those years of stomping wrecked havoc on my feet. I’m desperate to get stomping, so now I’ve turned to you. Never in my life, have I had a fuller pain. So open up your bag of tricks, and get these feet to move. Please undo the sticky bits, and let me hit the floor. Right now I need redemption, for feet that’s tired and sore. I’d happily keep on stomping, on two little stumps of wood. Perhaps my souls inverted, or my snout it does pronate? While my knee is on excursion, my ankle can’t translate? As long as I keep on stomping, that’s as long as I’ll stay alive. Call me back a hundred times and double your standard fee. So long as he gets me stomping, I’ll stomp on his red hot coal. I’ll fall upon my knees, to give thanks I’m on my feet. 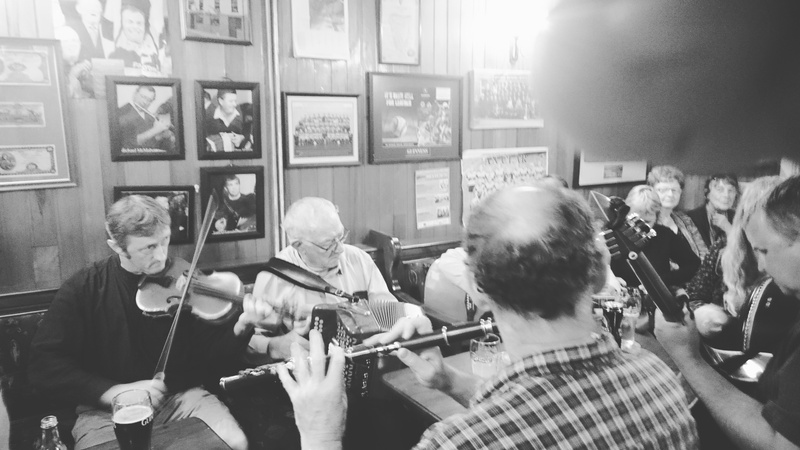 To a five string Bluegrass banjo, or the lilt of an Irish reel.